The Ramblings of an Endurance Junkie: June 2014: Training Ramblings......Eagleman 70.3m again! June 2014: Training Ramblings......Eagleman 70.3m again! I'm getting so bad at these updates but here goes for June 2014 (hopefully I get back on the wagon for July and beyond). June was a pretty fun month. After an encouraging and enjoyable race at St. George in May, the beginning of June was set-up for Eagleman 70.3m for the 9th time. Yeah, it seems like only yesterday that I raced Eagleman for the first time and now 9 years later it's still the major race in the Mid-Atlantic. After just hearing that it won't have any Kona slots from now on, it will be interested how the quality of the field changes in years to come. Perhaps 2015 is the year to make the break from Eagleman, it's not you, it's me! 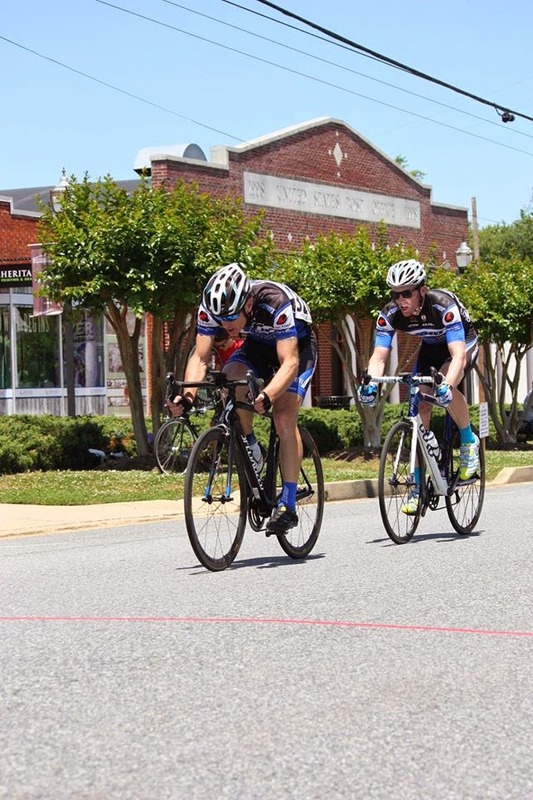 The week before Eagleman, I well and truly shelled at the Leonardtown crit! Caught behind an early crash left Stu and I chasing the whole race, at least we got a good, hard workout! 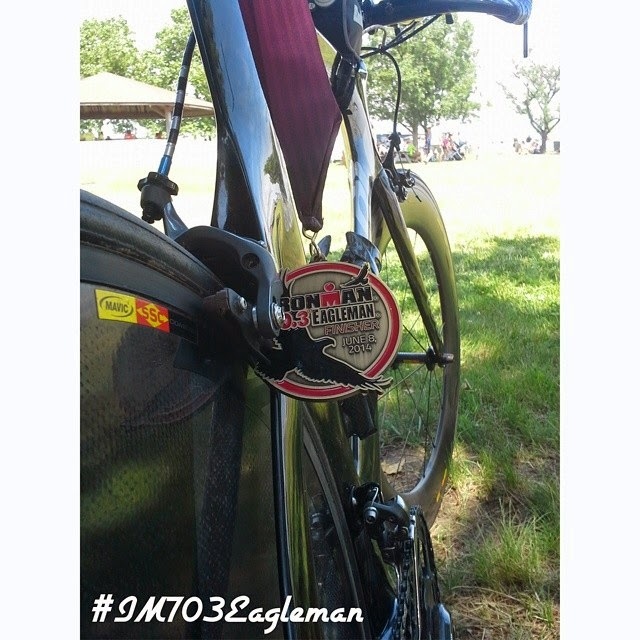 So then it was Eagleman 70.3m and very much like St. George, my plan was to go and enjoy the day with no expectations. The last few years at Eagleman have been pretty rough so I just wanted to go back and have a solid race. I certainly had no ideas of World Championship qualifying or anything like that. Water temperatures were such that it was non-wetsuit legal, not a great thing for me but I had a respectable swim time of 36mins and got out onto the bike ready to follow the plan. The Eagleman course is really built for me, it's a drag race built for the uber-bikers and that's not me. My plan was to hit the power numbers and hope for light winds. As anyone who has raced Eagleman knows, anytime you get a light wind and you find yourself motoring along Egypt Road, it's a good day. This year was a good day! I was able to to stick to the power plan and averaged right on 242watts (about 80-85% of threshold) http://www.strava.com/activities/151156175 and post a 2hrs23mins split for the 56miles. The run just felt great the entire time, well it obviously got hard, but there was no nutrition issues not a hint of slowing down and it showed in the 1hr 30min time. Overall the 4hrs 32mins finishing time put me 18th in age group and 118th overall. Finally a good day at Eagleman, not a great day, but it proved to me that on the limited training time 70.3m is the right distance. With a bit more focus for 2015 I think some damage could be done at the 70.3m races.